Our Christmas celebration begins with the observance of Advent over the four Sundays before Christmas. Our Advent series, Come, Thou Long-Expected Jesus, will run from December 2-23. Inspired by the familiar lyrics of the Christmas carol, we'll celebrate the coming of Jesus Christ--our long-expected Redeemer and King and hope of all the earth. Our hope is that you'll celebrate the season of Advent in your homes throughout the week. Throughout the month of December, we'll have Advent devotionals and books available for purchase in the lobby. We encourage you to browse the selection to find a resource that works for you and your family. Christmas Eve at Providence is one of our favorite days each year. We get to celebrate the birth of our Savior and share the good news of the gospel with many people who don’t know the greatest news of all. We have the opportunity to give a gift to our community: we get to welcome them to the household of God in a service that's rich with tradition and significance. 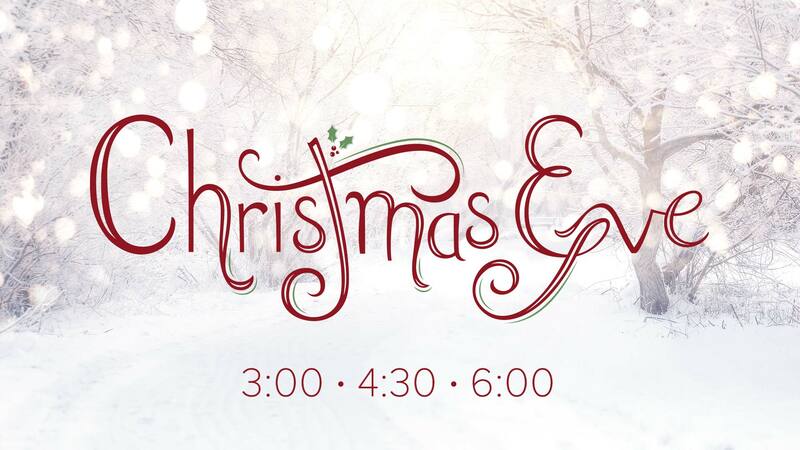 This year, we’re having three candlelight Christmas Eve services at 3:00, 4:30, and 6:00 p.m., with childcare for children through age three. Please pray with us for the people who will worship with us on Christmas Eve and invite your friends, family, and neighbors to join us!